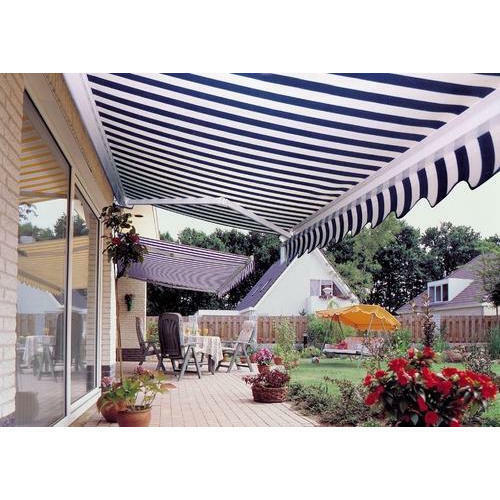 Backed by massive industry proficiency, we are involved in presenting to our customers’ world class Striped Outdoor Awnings. Since our commencement in the year 1980, we, Sai Interior and Decorator, are acknowledged in the industry as one of the prominent organizations, which is engaged in Wholesaling Trading and Retailing a wide range of Wooden PVC Flooring, Laminate Flooring, Curtain Rods and much more. High strength, lightweight, fine finish, alluring look, beautiful appearance are some of the highlighting features of our offered range of products. The range offered by us is sourced from authentic vendors of the industry, who manufacture the same as per the demands of customers. Also, we have a wide distribution network, which enables us to meet the bulk demands of customers in committed time-period.